But now for her business.. she does a lot of things like working for Maniera Magazin, designing for House of Rage and working as a photographer, but she as well has an own cute little brand called LovelyMi, where she sells awesome makeups for every purpose. Yesterday I broke in her IM and told her that I am in need of japanese makeups and not a second later the “Geisha” fatpack landed in my inventory. 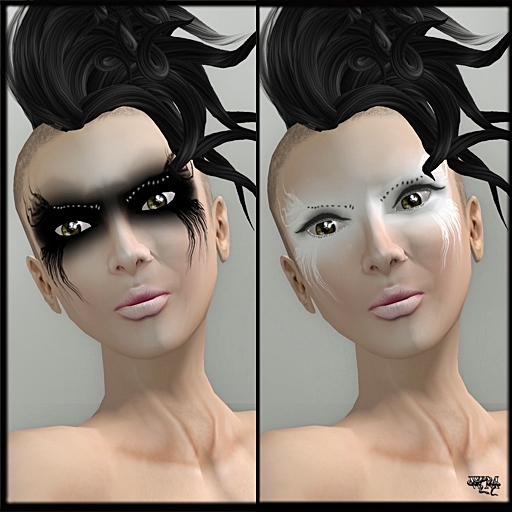 Most of the time, Lovely gives a full version and eyes or lips only as well in her packs. 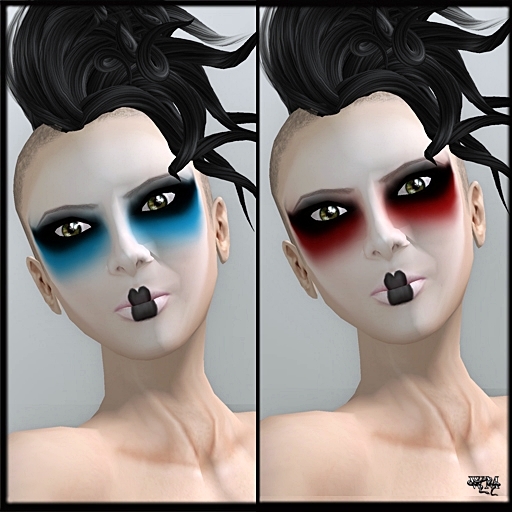 Not too long ago she made all the Finesmith models an amazing present that I already used more than once for several blog posts… her amazing “Avant Garde” pack. To show what I meant with lips or eyes only, I would like to pull out the “Rouge Cry” that I bought longer ago. 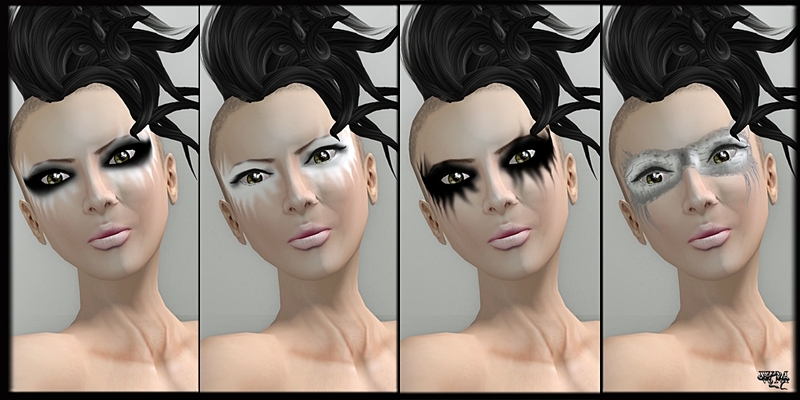 Sometimes Lovely as well does themed make ups for example the “Nile Yula” what goes nicely with one of the Finesmith jewelry sets. 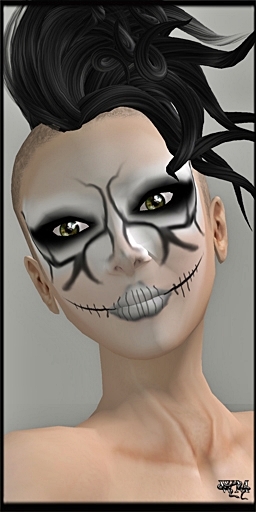 Talking of themed makeups… last october, it must have been round Halloween, Lovely made some of those popular”Dia De Muertos” masks. 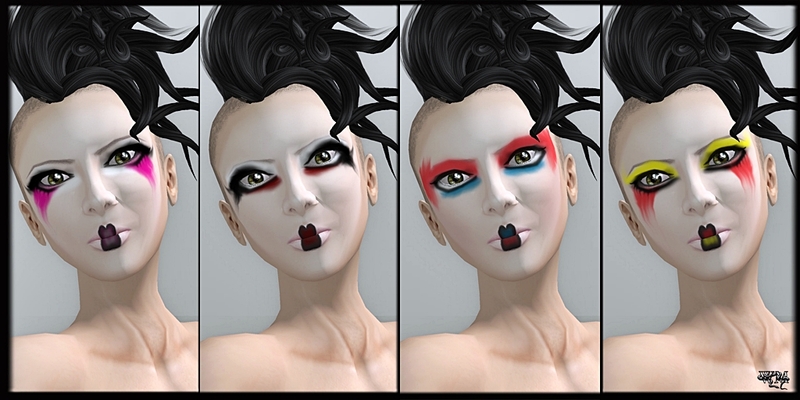 Again a makeup with a light asian touch because of the lips and the special style around the eyes. 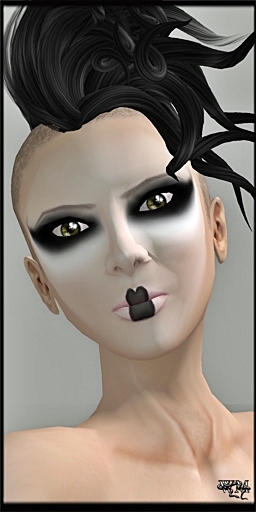 This entry was posted in Fashion and tagged 3D, 3D people, Art, artistic, Avant Garde, Blog, Blogger, Clothing, color, Couture, Eyeshadow, face decoration, face ornament, Face Tattoo, Fashion, Fashion in Pixels, Female Clothing, female wear, High Fashion, Lipstick, LovelyMi, Lovelymiwako, Makeup, male clothing, meta virtual, Model, Modeling, photographer, Second Life, Secondlife, SL, SL Clothing, SL Fashion, SL Style, Style, Virtual World, Wicca Merlin, woman. Bookmark the permalink.